Welcome back to the Moyer & Sons Moving and Storage blog! We hope that you have fully recovered from the holidays and are getting excited about your impending move. Today, on our blog, we will be sharing seven tips for a successful move. Stay tuned to learn more! If you are considering a move, looking for packing services, or even storage options in the Clarksburg area, visit our website! We have been providing elite moving services since 1969, offering our clients a stress-free moving experience. Contact us to learn more! There are many things that you need to keep in mind as you move — if you are about to move you are probably well aware of all the things that you need to do. With that in mind, this is not an exhaustive list, but one that can help you have a stress-free move. You may even consider making several lists that work together: one for each room and one that reflects what you must do during each step of the moving process. Packing needs to protect your belongings. If you feel overwhelmed by packing, you could always consider getting someone else to do it for you — hire our packing experts. Learn more! Donate – used items that still offer value, general household items, etc. Ready to get the show on the road? 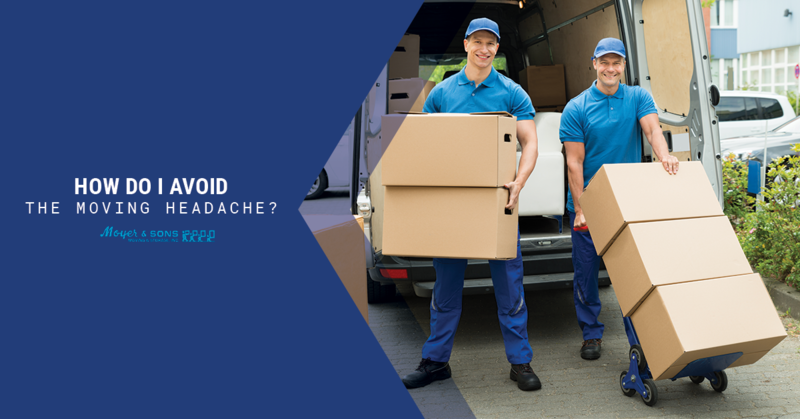 Visit our website to learn how Moyer & Sons Moving and Storage can get you moved in Clarksburg and beyond without the headache.